Present your Research. Submit a poster presentation or share your research or program to present at BreastFED! BreastFED is a two day regional symposium aimed at providing information from professionals and community experts locally, regionally, and nationally on innovative approaches to address the needs of mothers and lactation practitioners in this region. Throughout the two days you’ll receive both clinical and community perspectives and be able to share insights and experiences to move forward with best practices and groundbreaking methods to changing the culture of feeding our babies. Power Pumps- View poster presentations from colleagues conducting research in the field of lactation and lactation support. 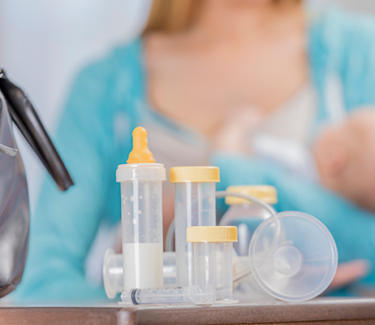 Stay up to date on the most recent lactation research, policy and resources. Sponsorship puts your company or organization on display for an audience of enthusiastic breastfeeding advocates. Keynote Speaker: Kimberly Seals Allers is an award winning journalist, author of five books, international speaker, strategist and advocate for maternal and infant health. A former senior editor at ESSENCE and writer at FORTUNE magazine, Kimberly is a leading commentator on birth, breastfeeding and motherhood and the intersection of race, policy, and culture. Scholarships available for those who qualify. Call 412-247-4009.